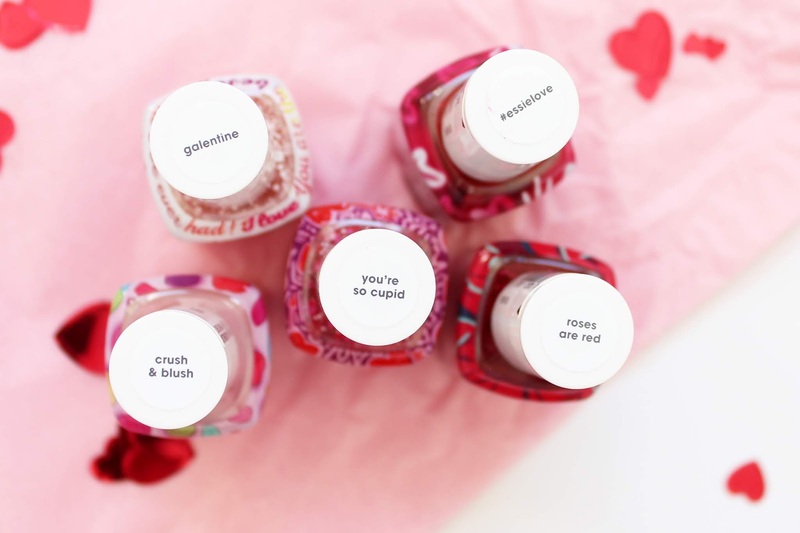 The collection consists of five new shades, with these exclusive wrap designs around the bottles. 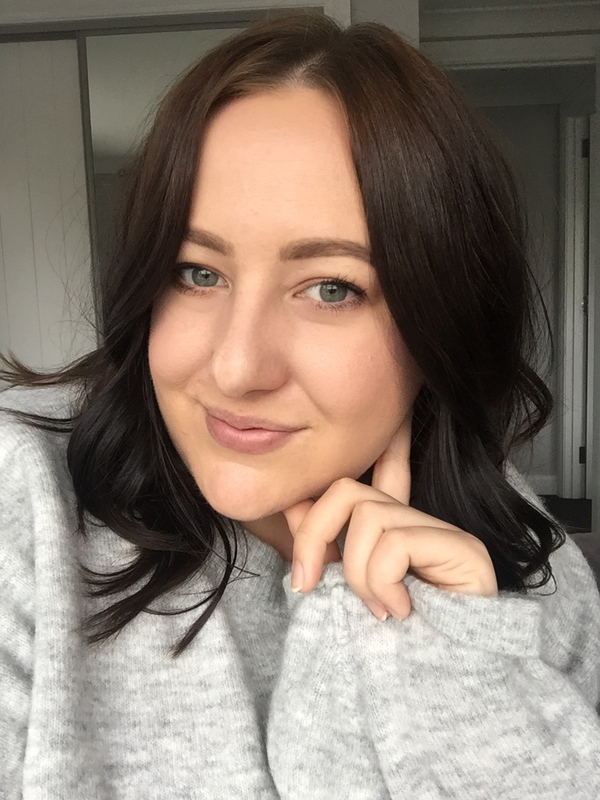 They are absolutely gorgeous and when I first saw the collection hinted at on the essie international page I had my fingers crossed that it would be available in NZ. The shade range and the names couldn't be more appropriate for this collection. Each swatch above shows two coats. Crush & Blush is a sheer baby pink with a soft ruby iridescence. Galentine is a white and carnation pink matte glitter which is used as a top coat. It would look so pretty over Crush & Blush. You're So Cupid is a red matte glitter with various sizes of hexagon shape glitters in pink and fuchsia. It is seriously cool glitter. 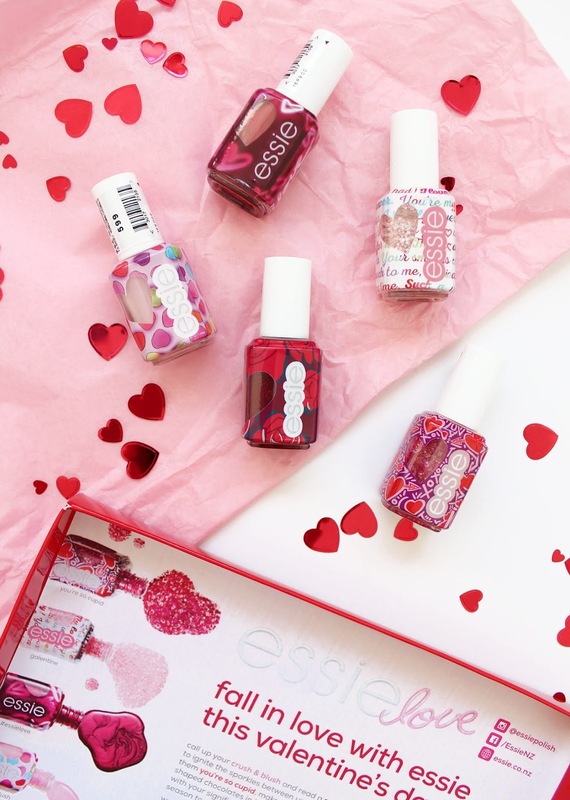 #essielove is a scarlet red pearl shade. Roses Are Red is a Bordeaux red with twinkling red sparkles. This is quite a chunky one because of the large glitters but it looks really pretty and has full opacity. 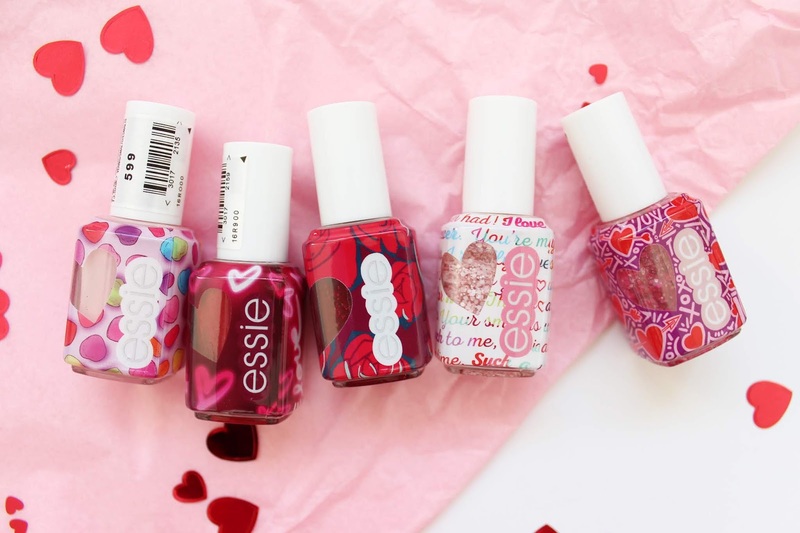 If these look like your kind of polishes, I would head into stores as soon as you can and get your hands on them. In NZ they retail for $17.99 each. 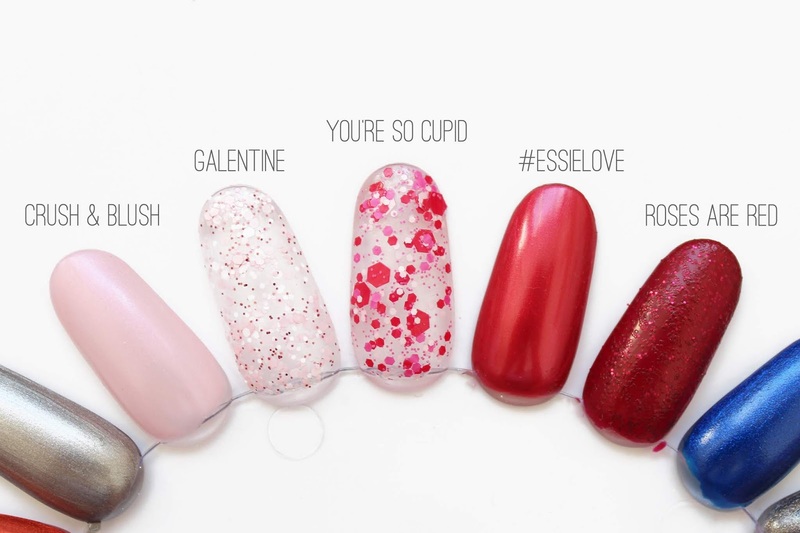 What Valentine's Day Collection polish do you like the most?